While its overall performance isn't particularly low for a Vita game, 74,000 in two weeks is not the kind of Digimon World miracle that Bandai wanted to see. -next 0rder- has eight weeks left to change impressions at store shelves before its retail cycle ends. The vast majority of games see continual dropoff throughout this period, although it's not impossible for a game to turn into a steady seller or make a turnaround due to external factors. The next question in practical terms is how dramatic a decrease -next 0rder- will experience between its week 2 and 3 sales; the standard is around a 40% decrease, with Cyber Sleuth having experienced a 34% drop and Decode a 45% drop. However, Media Create only provides unit sales data for the top 20 games each week. If -next 0rder- drops off quickly enough, it may only appear in terms of its place compared to other games, without detailed sales data. This happened to Sleuth about six weeks after launch, and to Decode about four weeks in. March 28th, 2016. The official Digimon World -next 0rder- title site updated with information about the game's ver.1.02 update, which will go out early this April. The update will be usable after the maximum Prosperity of Floatier has been increased above the 100 threshold. An additional scenario will be added to the game involving some kind of crisis of the Digital World. Beyond this, details are scarce, but a Platinum Scumon and two standard Scumon are featured in the screenshot for the update. Just a few hours after launching, Linkz undergoes its first bit of server maintenance. March 24th, 2016. Early this morning Bandai Namco Entertainment uploaded a surprise for fans on Google Play and the AppStore, making Digimon Linkz live for the first time. The app is free-to-play with microtransactions, and features a combination of gameplay lifted from Digimon Story Cyber Sleuth and music taken from Digimon World Re:Digitize. The app is only available in the Japanese app stores. International users can download it by creating a Japanese iTunes account (if on iOS) or by using a Virtual Private Network application like TunnelBear to mask their location (if on Android). Android users will still need to create a Japanese Google Play account to download the game, and clear any cached data from their Play app. Within ten hours of going live the app experienced its first server maintenance, with tamers around the world reporting on an apology message from the app’s navigator, Kurihara Hina. It appears that the game's servers became overloaded as a result of too many players registering in succession. March 24th, 2016. The official Digimon World -next 0rder- title site updated with a video of the game's upcoming DLC, featuring Maicoomon of Digimon Adventure tri. as a downloadable Digimon. 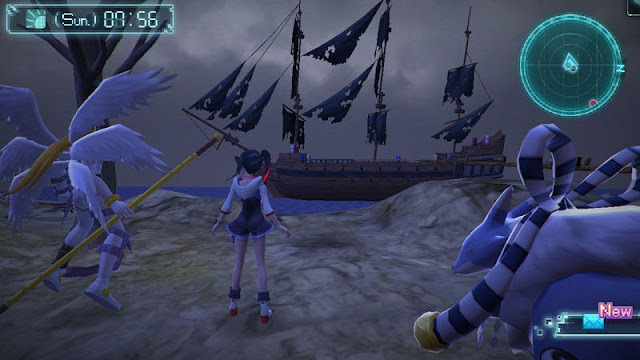 Maicoomon will become available after tamers complete her corresponding quest. 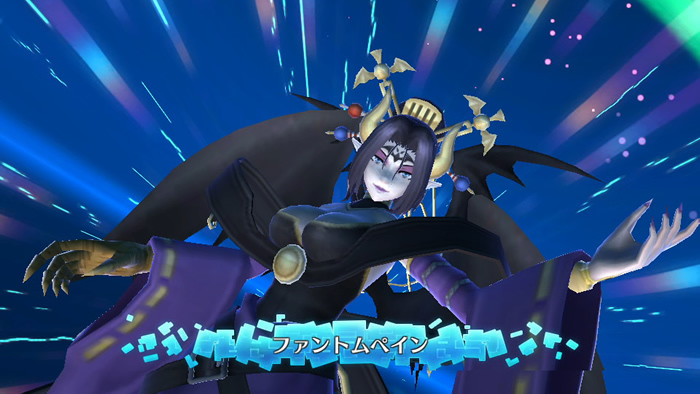 She can then be accessed by feeding their partner Digimon a Maicoomon-specific evolution item. The video presented is identical to the one shown in a stream early in February, but uncompressed. Although her level was not shown Maicoomon was stated to be Adult-level like Tailmon in the second tri. film, Ketsui. -next 0rder- does have occasional deviations from other canonical level designations; for example, Agnimon is classified as a Perfect in the game where the trading card game treated him as an Adult. Maicoomon is seen using the Battle tech Mach Jab and the Darkness techs Dark Spirit and Chaos Cloud, in contrast to Tailmon's Battle/Light. 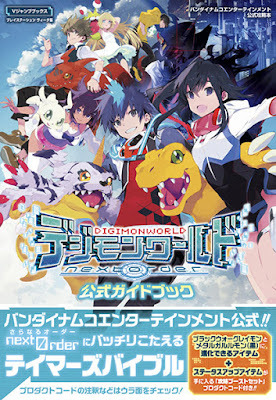 The soundtrack download section of the site also went live, allowing both physical and digital users to download the remastered Digimon World OST by entering in their product code. March 23rd, 2016. 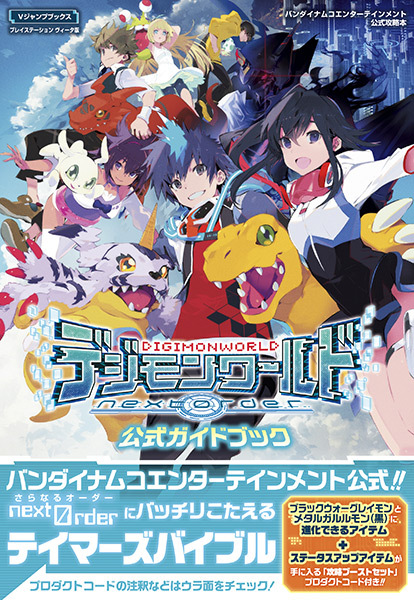 Japanese sales analyst Media Create reports that Digimon World -next 0rder- opened its first week at 64,218 units sold, standing neck-and-neck with Pokken Tournament at 69,675. This makes -next 0rder- the second best-selling game for the week of 03/14-03/20. While these two competing may look like a Democratic primary on the surface, the figures bear some internal concerns for Digimon. -next 0rder-'s first week sales are lower than Digimon Story Cyber Sleuth's, which moved 76,760 copies in its first week in Japan, but more than Decode, which only moved 34,350 copies within the same period. Although -next 0rder- also undersold compared to Re:Digitize, (85,817 copies) the PSP's install base was much greater than that of the Vita's. At Re:Digitize's launch in July 2012, between 15 million and 19 million PlayStation Portables had been sold in Japan, while at -next 0rder-'s only 4 million Vitas had been sold in the country. With these numbers in mind, it's natural that -next 0rder- would undersell its PSP predecessor. Underselling Sleuth is harder to dismiss. Despite a strong continuous promotional campaign since its original announcement late last July, consumer interest in -next 0rder- may have been dampened by the game's moderately lower review scores compared to Sleuth, and its smaller playable roster. -next 0rder- received a 33/40 in Famitsu magazine versus Sleuth's 34/40, and consumer review sites have consistently rated it lower than Sleuth, presently 3.5/5 on Amazon versus Sleuth's 4/5, and 82.9 on Wazap! versus 87.3. 4Gamer's lone user review gave the game a 60/100, while Sleuth holds a 69/100. Only a small number of users have ranked or reviewed -next 0rder- thus far, but the number of stars a game has does a lot for its public perception regardless of the ranking's overall accuracy. Dukemon Crimson Mode, the last Digimon in -next 0rder-. The official -next 0rder- guide pins the lineup at just 216 Digimon, but does not include the DLC Digimon Maicoomon. Thus the game's actual roster is 217 playable, which is 33 less than Cyber Sleuth's at-launch 240. (Sleuth has since added five Digimon via patches.) One of the bigger disappointments discovered upon launch is that the Frontier and Xros Wars Digimon Agnimon, Susanoomon, Shoutmon, Omega Shoutmon, Gumdramon, and Arresterdramon are not simply the "tip of the iceberg" as was popularly thought, but are the only Digimon from those series present in the game. 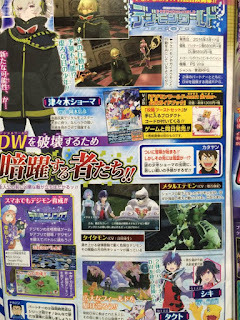 Many Japanese fans on 2chan and Twitter were excited by the prospect of nontraditional Digimon being available in the game, speculating that Digimon like Dark Knightmon of Xros Wars or Ranamon of Frontier could be playable. 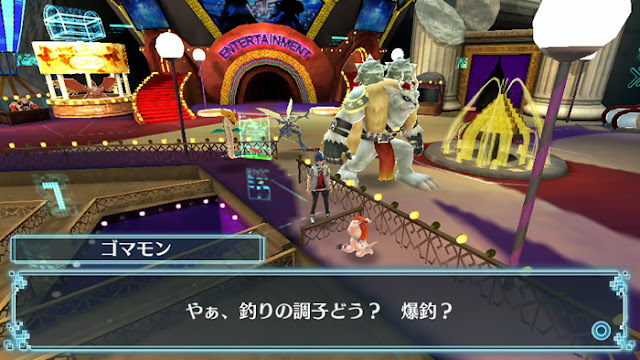 The speculation was in part fueled by the game being billed as having "over 200 Digimon," a statement which had also been made word-for-word in Cyber Sleuth's later trailers. As it turns out, -next 0rder- is exactly as advertised, with no more nor less than what was seen in previews. 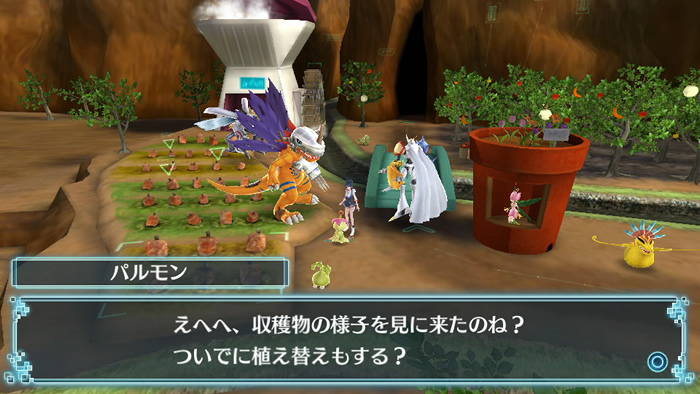 Almost every Digimon available in the game could be seen at some point in a trailer, magazine promotion, or preview screenshot. Regardless of how it may compare to past games, 64,000 is solid and hardly dangerous for an opening week. 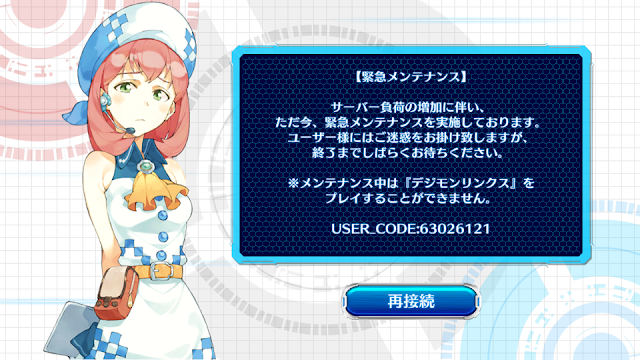 Cyber Sleuth's domestic performance was exceptional, going through 91% of its first shipment. Not every game is going to do so miraculously in the market, and there's nothing wrong with average sales. An important point with regard to the game's absolute profit is that Media Create cannot track digital sales, which means that -next 0rder- is selling slightly more than what these numbers say up front. On March 1st, 2016, D-Pet developer Jorge "JoMdz" Mendez made his first announcement on the development of the project after a long hiatus. In order to fund the completion of D-Pet's iOS and Android versions, JoMdz opened up crowdfunding for the game in order to purchase the developers' licenses required to create the official .ipa and .apk files. Users were incentivized to donate by being given rewards in-app for providing their financial support. As of March 7th, the project is believed to have met its funding goal, with JoMdz having begun development of the mobile version. Those that donated $1 were promised credit in the final app, and a spot as beta testers for future versions. Those that donated $5 or more will receive the final version a week ahead of the general public, and those that gave $10 or more will get a limited edition character. 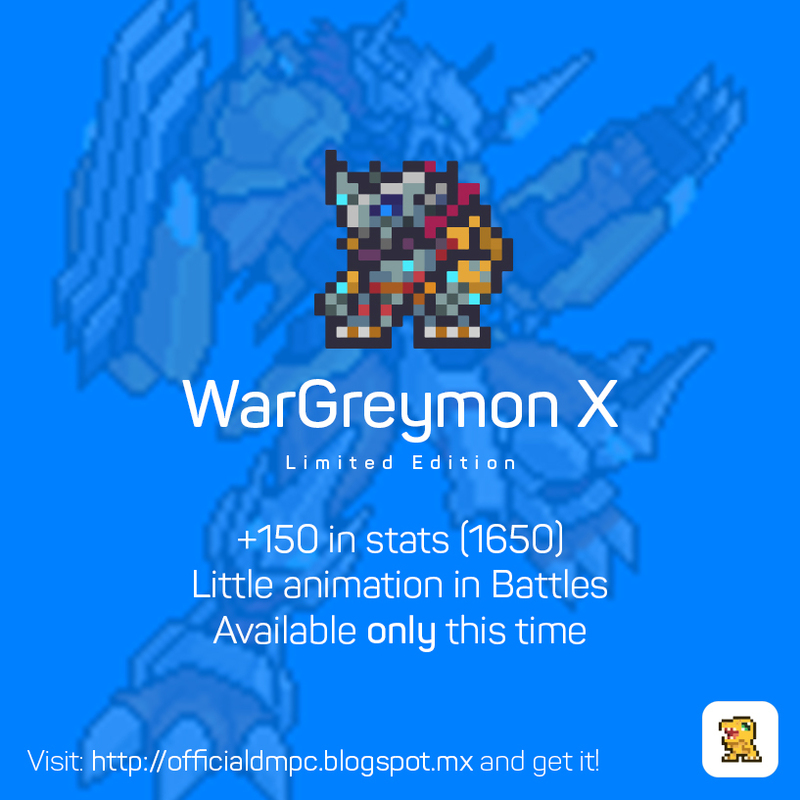 For donors that gave $20, a limited edition War Greymon X with inflated stats and battle animations is being provided on top of all previous rewards. On March 9th, JoMdz uploaded a photo of an Android test for the app, and on the 14th began publishing an up-to-date list of donors. This was accompanied by a report on the first build of the mobile game. On the 17th JoMdz clarified that he was continuing to work on redesigning several of the game's objects and developing its networking system. On the 22nd, he announced that the game would have a Pendulum feature, increasing the Digimon's power by shaking the smartphone. D-Pet, formerly known as Digimon Ver. PC, was originally developed by Malaysian programmer Hong Ming (alias "nrg890110" or "hosc") during Digimon's dark age in mid 2009. In part due to Digimon's long official hiatus--Savers had ended two years prior and Xros Wars did not air until a year after DMPC came out--the game experienced a brief surge in popularity when it first launched. After hosc disappeared in 2010, DMPC was revised by JoMdz into 2.0, working with a small team of designers and individuals that acted as public relations contacts, managing its various communities. 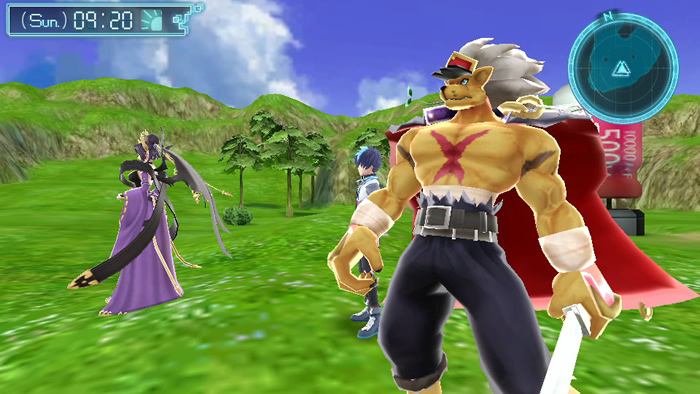 DMPC 2.0 introduced color graphics, additional evolutionary levels, and new Digimon. 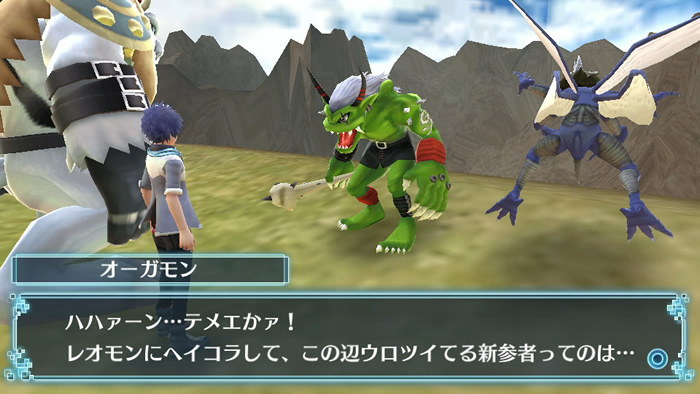 The game had been especially notable throughout 2009 and 2010 for having online battles through Hamachi, and an ever-growing count of available Digimon. Eventually, the difficulty of managing community fanpages for the game, design conflicts over the direction of Ver. PC, and a lack of enthusiasm on the part of fans lead to a slowdown in development and its user base shrinking considerably. In 2013, JoMdz resumed work on Ver. PC, and began developing D-Pet in 2014 as a continuation of the program. The rechristening to D-Pet was chosen in order to reflect the fact that the new program will be playable not just on PCs, but also on Apple computers, iOS, and Android devices. D-Pet is planned to eventually have Facebook connectivity in order to make finding a battle easier once the online functions are completed. March 17th, 2016. The official Digimon World -next 0rder- title site updated to reflect the game's launch, adding a page where tamers can enter their -next 0rder- product code to download a digital copy of the remastered Digimon World soundtrack. The total length of the OST is 110 minutes, comprising 36 tracks in all. A separate section for those that bought the game's digital edition will open up on March 24th, 2016. Each person is limited to five downloads per product code, and the soundtrack will no longer be available after March 17th, 2016. The DLC section of the site has also added a Hard Mode to the game. 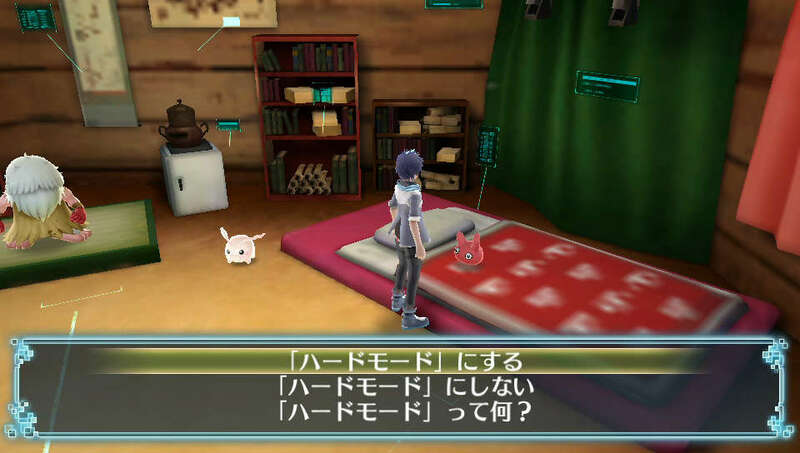 After downloading the day one patch, tamers can switch to Hard Mode by speaking to Punimon in Jijijmon's house, and they can also switch back at any time. The full effects of Hard Mode are unknown; the website only states that it increases the strength of the normal enemies the player encounters, and adjusts the game balance. By now many have already come to wonder why Tamer Union seemed to disappear overnight. The truth is that around February 29th, my laptop of four years experienced a "big freeze" from which it did not recover. It started to hang while using Firefox, and never stopped hanging. An attempted system restart seemed to resolve the issue, but opening any webbrowser immediately lead to another freeze. This old computer had been experiencing problems for some time before--slowdown, repeated battery failure and charger breakdown, the hardware gradually coming apart from too much wear--and so it was not an entirely unexpected outcome. I found and ordered a new laptop, but experienced repeated problems with the company I ordered from repeatedly canceling the order, then not responding when I contacted their customer service about the issue. After resolving a particularly grating incident where they attempted to collect payment after having canceled my order, I finally ordered from a different company, and have been forced to wait for its arrival since then. I was eventually able to restore partial functionality to my old laptop, but it remained unpredictable and difficult to work from. Several other factors hit me simultaneously; I was accepted into a master's program that will be requiring me to teach undergraduate classes starting in the fall, and have hit the high point in my undergraduate work while also returning to my school's Japanese program to complete my last semester. Various other issues, like my PayPal account having been potentially compromised, kept drawing my attention during all this. Unfortunately with so much weighing down, it's been hard to find time to write. I can't remember the last time I had a moment where there was nothing demanding my immediate attention. During this time I remained hesitant to use the Blogger mobile app, as it's infamous for reverting posts to previous versions, and deleting them outright. My replacement computer arrived today, and while I am bringing Tamer Union back up to speed, I'd encourage you to look at a side project I had originally wanted to launch before losing computer access. I began collecting information about the Rockman EXE x Hanayashiki event on the side several weeks ago, and when I realized there were no large outlets reporting on it I chose to aggregate them on a webpage. It's a small project and not one that's particularly demanding, but it's interesting that Capcom chose to cash in on EXE’s 15th anniversary all the same. Currently there are several things to address. Prior to this, I was working on translating an important interview with Aoi Eir on the meaning of Accentier and her thoughts on Digimon. I also have an exclusive multipage interview with Taiki from ILLUSTRATION 2016 that I have yet to power through.This is on top of the updates that I never got a chance to write, and the glaring elephant in the living room; -next 0rder- launched today. My LP of it will be delayed by the shipping time, and the fact that unlike with Cyber Sleuth, I will not be doing a blind LP. Blind LPs, while interesting, are much slower in the long run than playing through the game once and then playing through for the web after. Fortunately, my university's spring break starts up next week. March 17th, 2016. 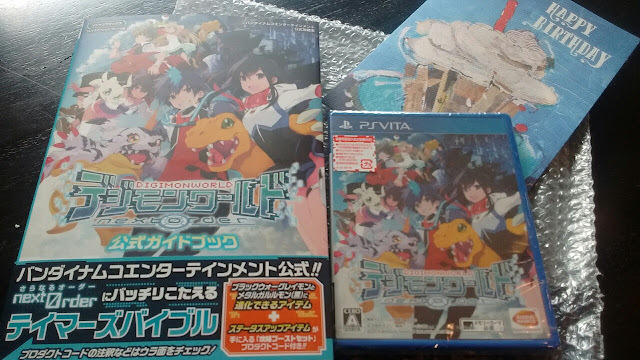 Today, Digimon World -next 0rder- launched in Japan exclusively on the PlayStation Vita. 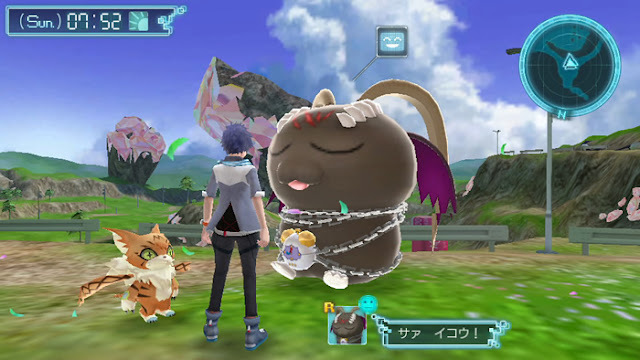 The game features the traditional open world-virtual pet gameplay that popularized the original Digimon World, and features the protagonist of the first game in a prominent supporting role. Singer Aoi Eir tweeted about the launch, asking fans to look forward to playing the game and stating that she herself will be playing. Former Digimon Adventure director Kakudou Hiroyuki also tweeted about the launch, explaining that he assisted in directing the voice recording process for the game. They were joined by Han Megumi, voice of Shiramine Nokia in Cyber Sleuth and Kuzuhamon in -next 0rder-. Han showed off her own copy with exclusive Jump Festa stickers. The official Digimon games Twitter celebrated the launch with its costumed mascots Agumon & Gabumon, and character designer Taiki also acknowledged the launch. This is the first Digimon World game in three years, following up from Re:Digitize Decode on the 3DS. It's also a highly experimental title, introducing a second partner Digimon for tamers to raise simultaneous to their first, a combination evolution system that allows for temporary mid-battle fusions, and a radical new "0rder System" that allows tamers to issue direct commands to their Digimon by spending points that they build up by cheering on their team. March 16th, 2016. 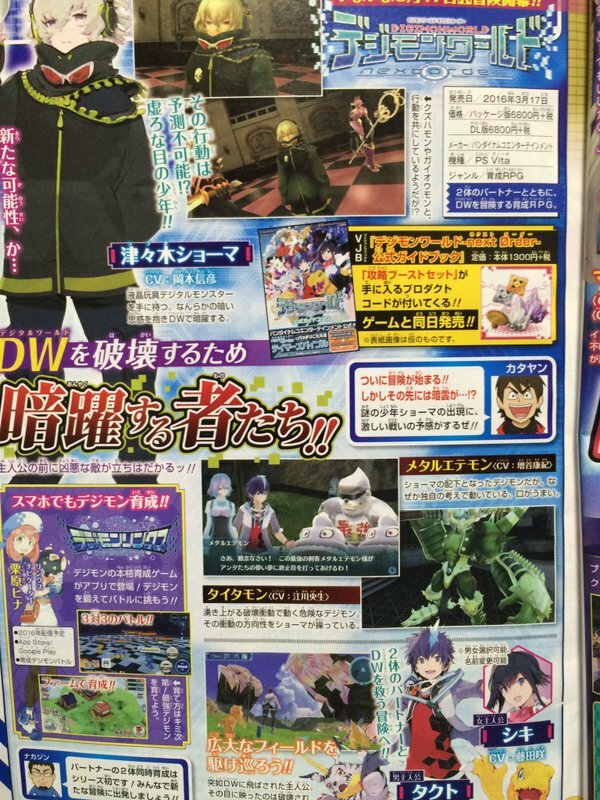 V Jump Books formally announced its next title, the official guide to Digimon World -next 0rder-. 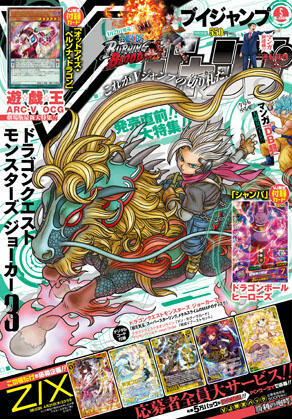 The guide was previously teased in an issue of V Jump magazine; VJB is an imprint of Shueisha, the publishing company which owns V Jump. The Digimon World -next 0rder- Official Guidebook is sponsored by Bandai Namco Entertainment, and touted as a "Tamers' Bible." 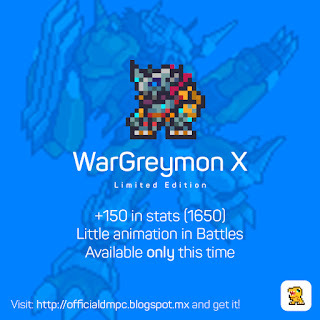 It comes packaged with a product code that can be entered to download Black War Greymon and Metal Garurumon (Black) evolution items, in addition to stat-boosting items. While the guide does provide a visual list of 216 of the game's Digimon, the evolution trees, names, descriptions and Tech lists are all in Japanese, requiring some level of literacy to read. 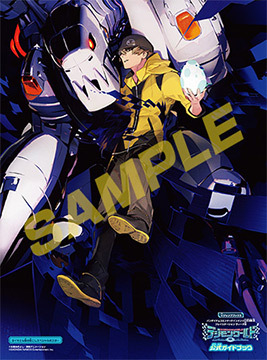 The back of the guide features short section of pages featuring concept art of the core human cast, and the front contains a small foldout artwork of the adult Digimon World protagonist with Mugendramon. Several sellers have made this guide available over eBay. A list of affiliate links comprising the most competitive prices we could find are provided below; affiliate links are hyperlinks to product listings on e-commerce websites. If a reader accesses one of these listings through one of the links below, and/or purchases the item listed, the editor is provided a referral fee and/or commission fee. In this case, the links exclusively direct to eBay. March 16th, 2016. 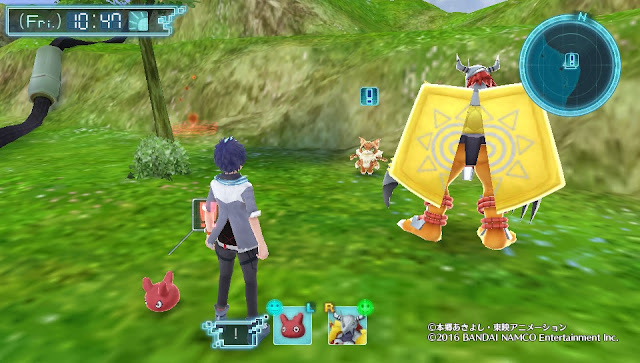 The official Digimon World -next 0rder- Twitter account revealed the details on a day one Hard Mode addition to Digimon World -next 0rder-, which adjusts the game balance by modifying the stats of enemy Digimon. Tamers can switch Hard Mode on and off by speaking to Punimon within Jijimon's house, or get more information about the mode by asking the Digimon. March 16th, 2016. 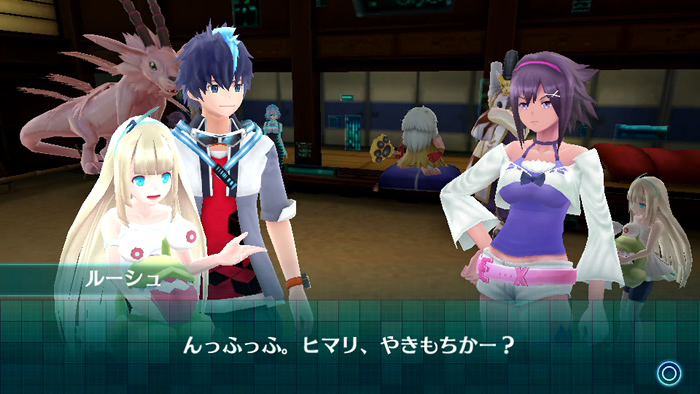 The official PlayStation blog added a preview of Digimon World -next 0rder-, out in Japan tomorrow. The entry is written by the V Jump editorial department, and goes over several of the game's key areas as well as the various evolutions that have been shown up to now. 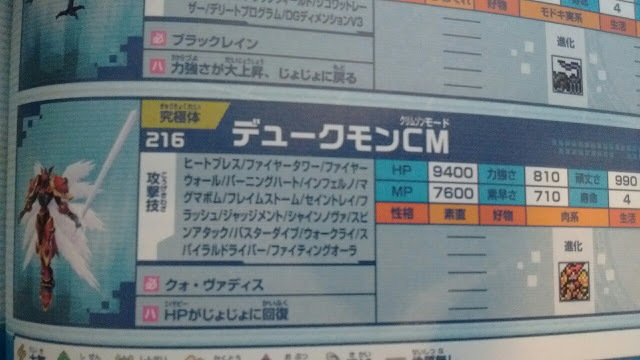 The next issue of V Jump magazine, out March 19th, will contain a product code that can be used to download a "V Jump Raising Boot Set," containing the unique item "V Jump Huge Meat" as well as a number of stat-boosting items. According to the entry, it's possible for Digimon to undergo ExE-volution on their own when they're knocked out during battle, reviving as the ExE-evolved Digimon. In this screenshot, War Greymon automatically evolves into Omegamon after being defeated. 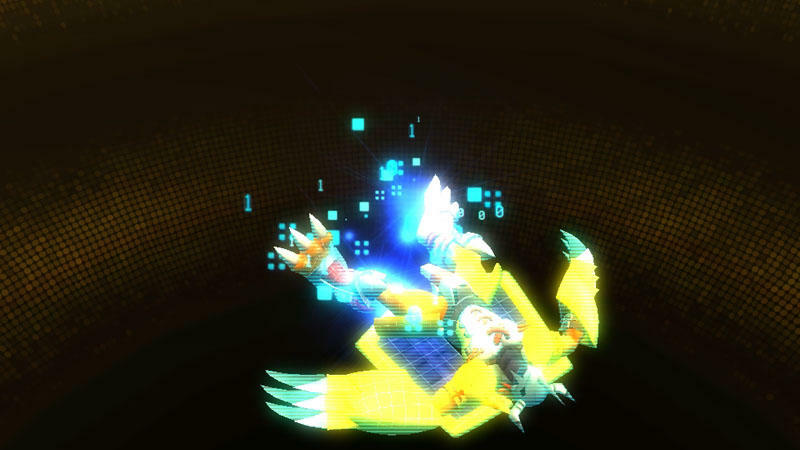 This type of gameplay encourages tamers to use as much of their resources as possible before allowing their Digimon to be knocked out, in order to trigger the evolution after thoroughly weakening their opponent. March 11th, 2016. The latest color version of the D-3 Digivice Ver. 15th became available via the Premium Bandai web shop today, in a run of just 3,000 units. Like with the black and blue Ver. 15ths before it, the Paildramon Color device is being given a limited run. Based on the color scheme of Motomiya Daisuke & Ichijouji Ken's Jogress D-3, the toy goes on sale for 9,990 yen from 11:00 PM Japanese Standard Time. The finished devices will ship in July. Those that order it will receive a Paildramon illustration sheet. 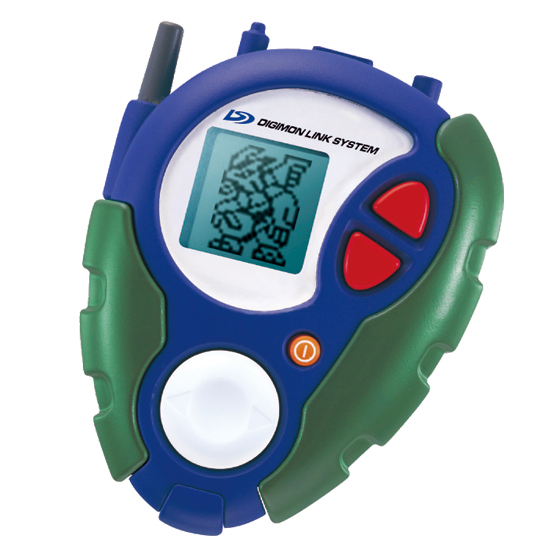 The Digivice will contain more than 150 Digimon, with more than 80 being usable by the player. There are six available partner Digimon, the selection being derived from Digimon Adventure 02; Patamon, Hawkmon, V-mon, Wormmon, Armadimon, and Tailmon. Aside from the color the device appears to be identical to its predecessors, with the structure of the Paildramon Color's gameplay following the same route as the original Ver. 15th D-3. The LCD toy tours players through the world of the anime series, culminating in a final battle with Armagemon. Imperialdramon Paladin Mode will be available on this Digivice just as he will be in the preceding D-3 Ver. 15th, and by connecting it to a first generation Ver. 15th, tamers can unlock a special message. As of March 16th, the device is sold out, with "no plans" for a continuation. March 11th, 2016. The official Digimon World -next 0rder- title site updated with the game's final batch of screenshots prior to launch. This batch shows the Demon Lords Lilithmon and Belphemon Sleep Mode as available Digimon in the game, as well as Banchou Leomon and the DLC Digimon, Maicoomon. An additional screen provides a view of an expanded Meat Farm in the developed version of Floatier. The expanded farm features fruit and vegetable trees on top of its standard fare. Palmon: "Ehhh, have you come to see the harvest? While you're at it, want to replant them?" Belphemon Sleep Mode: "Let's go!" The website also added a new video to promote the game, which video advertises the voiced Agumon and Gabumon DLC. These special Digimon are not voiced by standard Digimon World sound effects, but instead retain their original seiyuu from 1999, Chika Sakamoto and Yamaguchi Mayumi. March 9th, 2016. Bandai Namco Entertainment uploaded a new Japanese trailer for the upcoming smartphone game Digimon Linkz, giving glimpses of a potential crisis affecting the Digital World, as well as a quick overview of the game's three-on-three battle system. No set launch date has been announced as of yet, but the game is set to come out sometime in 2016. March 4th, 2016. 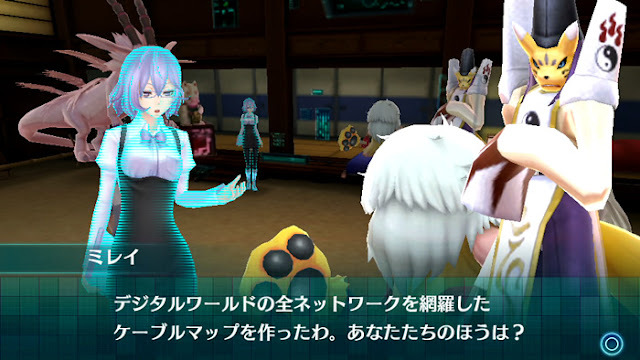 The official Digimon World -next 0rder- title site updated with four new screenshots, showing crossover character Mikagura Mirei speaking with Jijimon and Taomon about creating a "cable map" comprising all of the Digital World's networks. Other shots of the town of Floatier show the possibility of a fishing hole in the expanded city, in addition to the regular fishing spots tamers can find throughout the Digital World. Gomamon: "Yo, how's the fishing? Land a big one?" Ogremon: "Hahaaa...So it's you! The newcomer thas' been loitering around this area, suckin up to Leomon..."